The highlights for today are some nice hotel stays bonuses! Don't forget to enter our contest to celebrate the launch of Aeroplan's dExclusives! You could win 5,000 Aeroplan Miles! Find out more here. 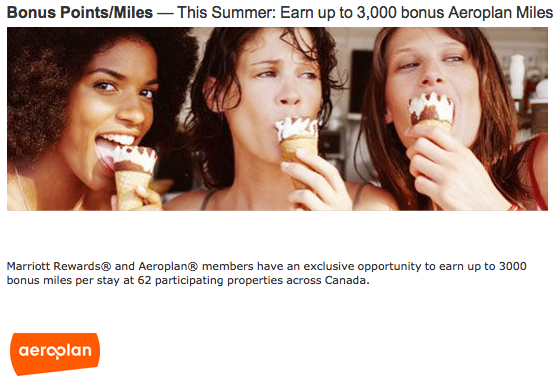 In the bonus offers section we have the latest Aeroplan bonus for Marriott stays this summer. We usually sees some sort of varation of this promotion every winter and summer. This summer version seems to entail a lot more properties than usual here in our home country but does also come with a minimum 2 night requisite with one of those nights being a Friday, Saturday or Sunday. The offer definitely caters to the lesuire traveller versus the business traveller unless you head out for work on a Sunday. As always to be able to enhance your stay you could get yourself the Marriott Premier Rewards Visa card which comes with automatic Silver Elite status which will get you slightly better treatment like late check out for your Marriott stays. 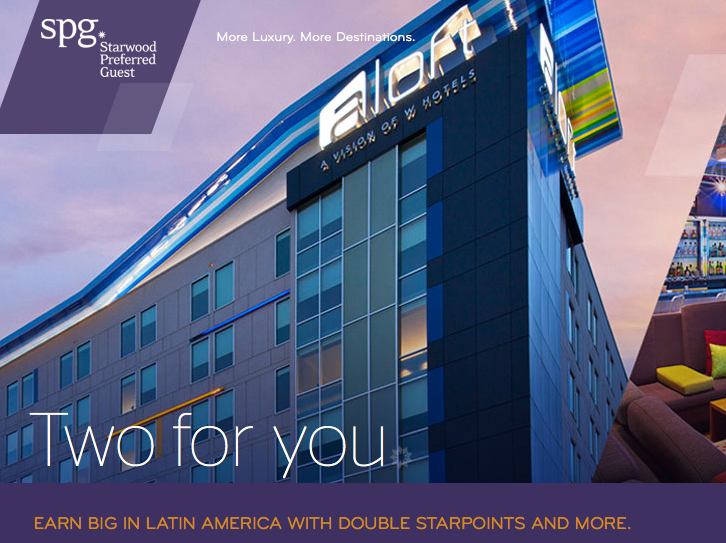 If your travels are taking you to Latin America this summer you should check out this SPG promo for Aloft Hotel stays. If you need to stays in any of the five cities participating or better yet two of the five cities then you should definitely book or move your stays to these Aloft properties as not only will you get double Starpoints on each stay but when you complete stays at two of the participating properties SPG will throw in 10,000 more Starpoints!